To register for any of these three optional pre-Conference programs, please check the appropriate box on the conference registration form, here. ICFAD's Career Development Committee is pleased to present The Fellows Program, a professional development program designed to promote a healthy and continuous pipeline of talented arts administrators who are prepared to move into leadership positions in ICFAD member institutions. "Strategies for Developing Leaders," is scheduled for Wednesday, October 3, 2018, with an 8:00 a.m. bus departure from the conference hotel to Cornish College of the Arts. In addition to participating in the Fellows Educational Program, Fellows will be assigned a mentor from ICFAD membership with whom they meet throughout the Conference. Please click here to read more about The Fellows Program, and to see a complete agenda. ICFAD's Career Development Committee is pleased to present Mentoring Initiatives for New Deans (MIND), a professional development program for new deans. "Strategic, Ethical Leadership," is scheduled for Wednesday, October 3, 2018, with an 8:00 a.m. bus departure from the conference hotel to Cornish College of the Arts. Goals of the MIND Program include providing a toolbox for those who have transitioned into administrative leadership roles as a dean of higher education visual and performing art schools and colleges; preparing new deans to take full advantage of the ICFAD Conference specifically and ICFAD membership throughout the year as support structures for their administrative leadership; and building on the ICFAD tradition of "Deans Helping Deans." Please click here to read more about Mentoring Initiatives for New Deans (MIND), and to see a complete agenda. Whether your institution is actively planning a design project or seeking inspiration for the future, this complimentary tour of four Seattle arts facilities spans major new builds and adaptive reuse of surprising spaces, each supporting a wide range of performance and education uses: University of Washington Floyd & Delores Jones Playhouse (UW Campus); Lee Center for the Arts (Seattle University Campus); Benaroya Hall (Downtown Seattle); McCaw Hall (Seattle Center). Explore Seattle’s cultural heart with the architects who designed these unique, hard-working arts centers. Attendees should plan to depart the conference hotel at 11:00. Transportation and lunch will be provided. Buses depart the Seattle Marriott Waterfront at 5:30 p.m.
ICFAD Committees are encouraged to meet during breakfast and lunch today. Members not currently serving on committees are invited to participate. As a movement toward narrower, disciplinary education has progressed inexorably, many employers - even, and in fact, especially, in "high tech" areas - have emphasized that learning outcomes associated with integrated education, such as critical thinking, communication, teamwork, and abilities for lifelong learning, are more, not less desirable. The abundant narrative and anecdotal evidence; evidence from research studies; and broad, national groundswell supporting integrated education makes the life of an Arts Dean - and the students we serve -- richer. Leaders from The International Council of Fine Arts Deans are proud to open the association’s 55th Annual Conference with a presentation about The Integration of the Humanities and Arts with Sciences, Engineering, and Medicine in Higher Education: Branches from the Same Tree, a National Academies of Sciences, Engineering and Medicine report which analyzes the benefits of undergraduate and graduate experiences that effectively integrate STEM, Arts, and Humanities. The report is the culmination of a two-year study that examined the evidence behind the assertion that more integrated educational experiences can better prepare graduates for life and work. As the Board on Higher Education and Workforce (BHEW) and other divisions and units within the National Academies of Sciences, Engineering, and Medicine embark on new projects aimed at improving the understanding and application of science, engineering and medicine toward the social, economic and cultural well-being of the nation and planet, its members believe it is critical to work with partners in the arts and humanities for input and engagement. While one focus is on developing policy recommendations that improve science, engineering and health education and training in our nation's colleges and universities, a broader goal is to enable all citizens to have enriching and meaningful lives. As such, its members believe that more effective integration of educational experiences in all disciplines-particularly in the arts, humanities, sciences, engineering, and medicine-will benefit all of our nation's citizens. Unconscious biases are defined as social stereotypes that are formed about certain groups of people by individuals from outside their own conscious awareness. Psychologists agree that everyone holds unconscious beliefs about various social and identity-based groups, and that these biases stem from one's tendency to organize social worlds by categorizing. Biases based on gender, race and other factors can creep in unconsciously and carry with them the potential to cloud judgment, even when someone has the best of intentions. How can our awareness of these biases help us to become better advocates for the communities and interests that our programs touch? How can diversity and inclusion efforts within our academic areas of responsibility contribute to a healthier professional and educational environment? What can we collectively do with the resources we have to ensure our students, faculty and staff feel safe, respected, embraced and supported? Higher education is facing profound and pervasive changes in its basic operations models and planning assumptions. Shifts in demographics, psychographics and public services impact most of the primary factors that influence student behaviors: pricing and student aid, curriculum delivery and design, outreach and student support services, and government appropriations. This session will review some of the key factors impacting enrollment shifts in the humanities and fine arts. The speakers will identify practical options for developing more sustainable student enrollment programs. Develop an understanding of the emerging changes and challenges in student markets. Identify ways to use Big Data with enrollment management techniques to build more collaborative student recruitment and retention plans. 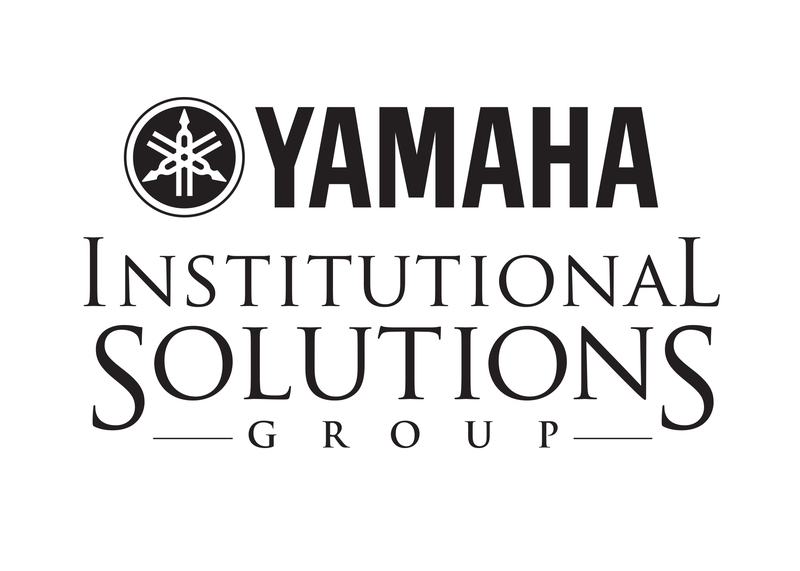 Review enrollment planning and analytical techniques that can assist with institutional strategic planning. Technology application concepts to improve students services and success rates. Seattle Children's Theatre (SCT) is one of the most prominent theatres for young audiences in the world. The mission of Seattle Children's Theatre is to provide children of all ages access to professional theatre, with a focus on new works and theatre education. Since its inception, Seattle Children's Theatre has strived to provide innovative artistic programming and professional theatre for the young people and families of the Puget Sound region. Accepting the award and speaking to our group will be Courtney Sale, Artistic Director. The Andrew A. Mellon Foundation awarded the University of Washington a three-year $750,000 grant to pilot a new Creative Fellowships Initiative that explores the nature of creative research at a top public research university, University of Washington. The interdisciplinary initiative is advancing the field of performing arts by supporting artists in the development of new work and by integrating the performing arts disciplines into the broader curriculum. The initiative marks the first time the performing arts units on campus - the UW World Series, School of Drama, School of Music, Dance Program and Center for Digital Arts and Experimental Media (DXArts) - have collaborated on an experiment of this scale. The initiative supports exploration by guest artists in the fields of dance, theater and music through one- to three-year residencies, commissions, collaborations and performances. Guest artist Fellows were recruited from individual artists and ensembles from around the world that are at the leading edge of contemporary performing arts and have significant experience in creative development and education. The initiative encourages creative inquiry between the fellows and counterparts among scholars and researchers in other fields and disciplines. "In the STEM world we inhabit, research and innovation are seen as the domain of the sciences and technology, even as the values of art - creativity, collaboration and imaginative engagement with the unknown - are prized," states Todd London, one of the original principal investigators on the grant. "This culture is both our challenge and opportunity, and we see these research-directed creative residencies as a way forward, both to serve our fields and to champion the values of art in the culture at large." You will have the opportunity to attend three, 25-minute sessions (with five-minute breaks for transition, between) on one of the topics listed here. Dale Chihuly's lifelong fascination for glasshouses has grown into a series of exhibitions within botanical settings. His Garden Cycle began in 2001 at the Garfield Park Conservatory in Chicago. Chihuly exhibited at the Royal Botanic Gardens, Kew, near London, in 2005. Other major exhibition venues include the de Young Museum in San Francisco, in 2008; the Museum of Fine Arts, Boston, in 2011; and the Montreal Museum of Fine Arts in 2013. Chihuly Garden and Glass, a long-term exhibition, opened at Seattle Center in 2012. Since Seattle hosted the World's Fair in 1962, the Seattle Center has remained an integral part of the local community. The iconic Space Needle is an important reminder of the dreams of that time. Through the work of artist Dale Chihuly, Seattle celebrates the region's creative energy and inspires visitors to engage with the region's cultural community. 7:00, 7:10, 7:20 and 7:30 a.m.
"In 2013, Google decided to test its hiring hypothesis by crunching every bit and byte of hiring, firing, and promotion data accumulated since the company's incorporation in 1998. Project Oxygen shocked everyone by concluding that, among the eight most important qualities of Google's top employees, STEM expertise comes in dead last. The seven top characteristics of success at Google are all soft skills: being a good coach; communicating and listening well; possessing insights into others (including others different values and points of view); having empathy toward and being supportive of one's colleagues; being a good critical thinker and problem solver; and being able to make connections across complex ideas." Here's what those in the know say about the critical thinking skills employers are seeking, and how as executive arts administrators, we can strive to ensure our students have them. Click here to read The surprising thing Google learned about its employees — and what it means for today’s students, a Washington Post article. Coffee will be available upon our arrival at the conference hotel. Higher education is undergoing dramatic change; who leads this change? Cathy Young was hired as Executive Director of Boston Conservatory 1 year ago and charged with leading the institution through its merger with Berklee College of Music. Her talk will focus on the connection between our practice and knowledge as artists and the skills needed to lead positive and transformative institutional change in higher ed. Developing and Coaching Your Leadership Team, Encouraging Participation at the National Level, and Mentoring Faculty Leadership are topics that will be covered by these seasoned pros. There has never been a better time for the arts to play a major, meaningful role in our lives, our communities, and in society. But does advocating for the arts really make a difference? Jane Chu will do a deep dive into the dynamics of why the arts are so important, and provide insights into creating practical strategies for arts advocacy. 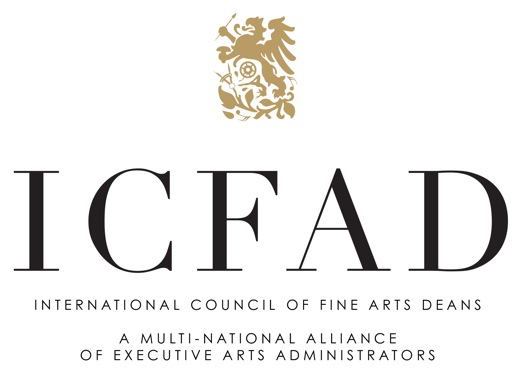 Spend time with members of ICFAD’s Global Connections Committee and hear ideas about how the International Council of Fine Arts Deans can be exactly that: International. Collaboration opportunities; an international art project; development of international topic seminars on various university campuses; ICFAD’s next International Symposium in Barcelona; collaborative efforts with similar international organizations of arts deans; and global creative industries are just some of the ideas that will be discussed. Share your ideas, as well. Several people representing more than five continents look forward to attending this year’s ICFAD Conference, and have been invited to share information about the issues impacting arts in higher education in their countries, as part of this presentation.